There have been a long list of studies and articles on the problem of false testimony by police officers. Most officers that I have met or represented would not testify falsely. However, there is cultural pressure to hold “the thin blue line” to support other officers. That appears what is occurring in a recent scandal out of Chicago. In a Skokie courthouse, five officers (three from Chicago and two from Glenview) took the stand and lied about what occurred in a drug arrest. What is relatively rare is that the prosecutors appear to be seriously considering criminal charges. The five officers — Glenview Sgt. Theresa Urbanowski, Glenview Officer Jim Horn, Chicago Sgt. James Padar, Chicago Officer Vince Morgan and Chicago Officer William Pruente — gave sworn testimony in the case of Joseph Sperling, 23. Sperling had prior drug arrests and a 2010 drug conviction. On this occasion, the restaurant worker was caught with up to a pound of marijuana in a black backpack after his car was pulled over. There was not a serious question as the possession. However, this was a stop for a failure to signal. Sperling insists that he did signal. I recently wrote a column on how such pretextual stops were upheld by the Supreme Court and, as a result, they have become common. Sperling said that he admitted that he had a “little weed” on him but that the pot (one pound) discovered by the police was entirely contained within his backpack. However, Pruente (a narcotics officer) testified that immediately after stopping the car, he smelled marijuana in Sperling’s gold Ford Taurus. He ordered Sperling to exit the car and handcuffed him while he searched the car. The officers testified along the same lines in support of Pruente’s account. What they did not count on was that there was a dash cam video obtained by defense counsel Stuart Goldberg from one of the Glenview cruisers that contradicted the accounts. It was so apparent that the judge interrupted the testimony to read one officer his Miranda rights. Cook County Circuit Judge Catherine Haberkorn suppressed the search and arrest — leading to the dropping of the charges. This is not the first such case of police perjury for Goldberg. He recently won a case for a client accused of grabbing a police officer’s vest after bystander photos showed the officer was not even wearing a vest. The obvious question is how this case would have come out if the lawyer had not located the dash cam record. We have been following the continuing abuse of citizens who are detained or arrested for filming police in public. (For prior columns, click here and here). Despite consistent rulings upholding the right of citizens to film police in public, these abuses continue. The video contradiction of the police account is all too familiar on this blog. Of course, in Dallas, Dallas Police Chief David Brown revealed a new policy that would require officers involved in a shooting to wait 72 hours before making a statement. The policy came after a scandal where a surveillance video showed one of Brown’s officers shooting a mentally ill suspect for no apparent reason. 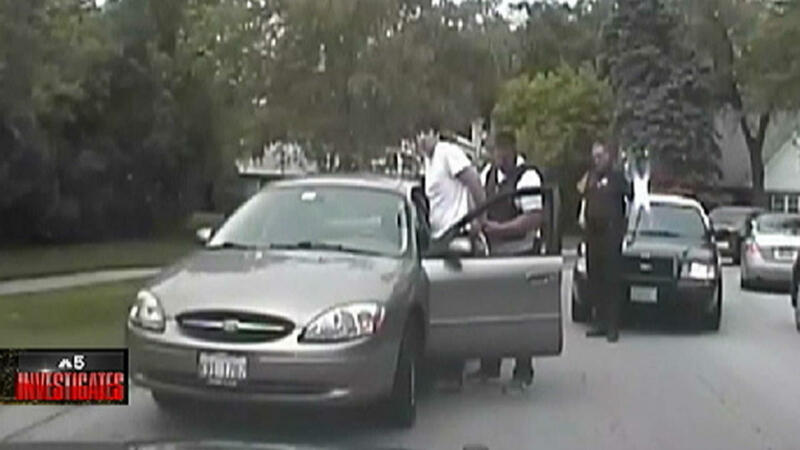 The video contradicted the officer’s testimony and undermined the charge against the victim. Brown’s solution was not greater disciplining and monitoring of officers but to impose a delay to allow officers to craft their statements. I would have thought that such a proposal would have resulted in the termination of Brown but he continues to run a major police department. Sperling has now filed a lawsuit. For a news segment showing the video, click here. Thanks for the link, leejcaroll. corruption of our rapidly worsening police state? Police, n. armed force for protection and participation.